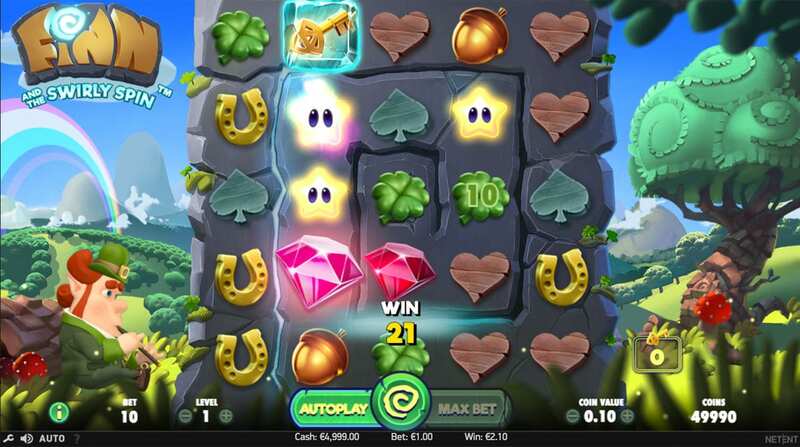 Here's a new slots game on Wizard, home of online slots. 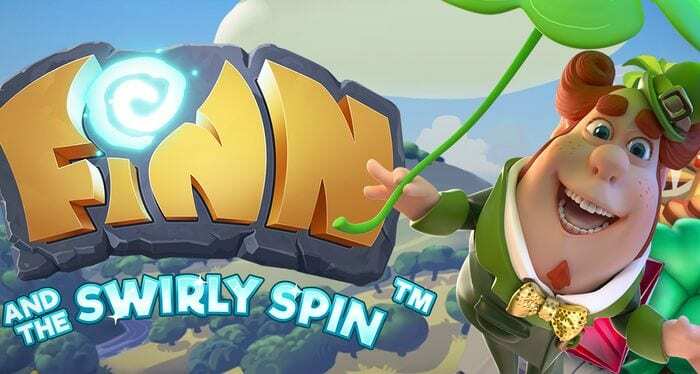 Finn and the Swirly Spin from NetEnt marks a real innovation in online casino slots. Instead of the standard five-reel linear game, the play involves trying to get a key clockwise around a spiral to unlock free spins. Couple this unique concept with incredible graphics and audio, powerful bonus features and a cheeky leprechaun called Finn and it’s clear that NetEnt is onto a real winner with this one. Established in 1996, NetEnt has grown from a three-employee operation into one of the world’s leading suppliers of digital games and online casino software. While they may have started small, NetEnt has always thought big and now boasts a portfolio of over 200 games in 25 different languages handling more than 100 million transactions a day. The current CEO of NetEnt attributes the company’s success to a corporate culture that encourages innovation and creativity. If you want to discover more of the casino slot games offered by NetEnt here on Wizard Slots online casino then click here. NetEnt has clearly pushed the boat out in the design and execution of Finn and the Swirly Spin, which can take a little getting used to, but the gameplay is groundbreaking and well worth it for those big cash wins! The reel itself is a large swirl with new symbols appearing in the top left-hand corner and continuing clockwise into the central position in the middle of the screen where they disappear. They have amazing bonus features for new players, and it's best to check our guide to know more. Two to five random wilds shoot into the air and land on the spiral, helping the key to reach the central lock square. The dragon casts his fiery breath over the spiral, destroying a random number of symbols which triggers a symbol shattering avalanche. Finn casts his magic across the swirly spin transforming one horizontal or vertical row into the same symbol resulting in potentially bumper wins and pushing the key along its way. Watch as a giant pot of gold appears at the end of a rainbow in the middle of the screen. All spade and heart symbols are magically transformed into premium symbols. 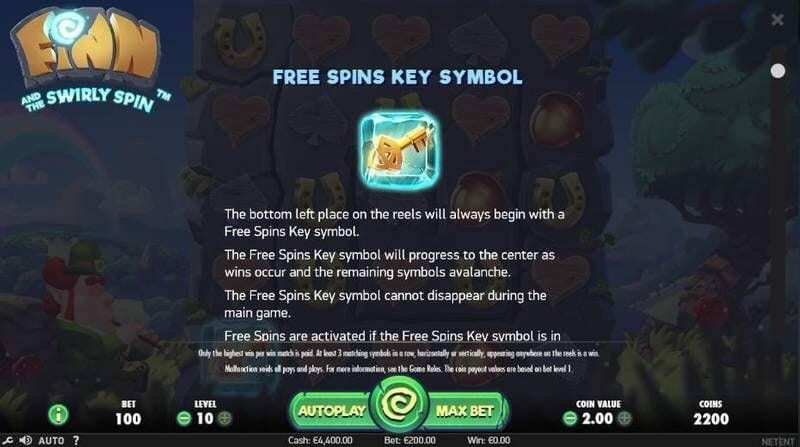 Once the key reaches the lock you will be transported to the free spins world where you can unlock four levels, depending on how many keys you have collected. Seven free spins with random wilds for stellar wins. Three fiery spins which trigger another avalanche. Sticky wilds increase the chances of a win. Unwind in a traditional Irish Pub setting with four free spins. During each spin, rows or columns will be changed into the same symbol for increased prizes. Head to the Golden Pot where all spades and hearts are magically transformed into premium symbols to give you the chance to win some major coin. With Finn and the Swirly Spin, NetEnt has raised the bar yet again. The concept may seem daunting at first but the gameplay is intuitive and engaging. As well as boasting a dazzling array of bonus features, the game also guarantees a return to player percentage of 96.62%. If you liked Finn and the Swirly Spinn you might also like Carnaval slots game.